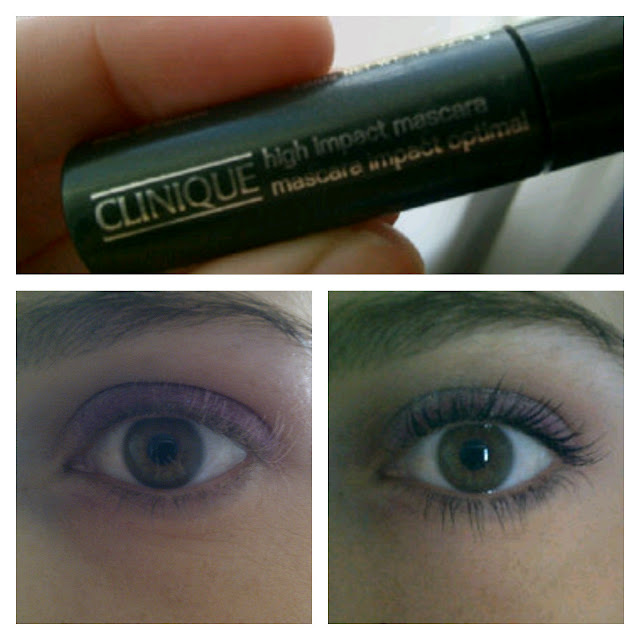 Clinique High Impact Mascara / Gee Whiskers! According to Clinique's website this mascara is "New richly pigmented shade gives eyes instant brightening power-it's clinically proven. Kicks up the volume and length of each and every lash for a look that's lusher, plusher, bolder. Pure, deep colour only adds to the impact. Wear it once and you'll feel naked without it. Ophthalmologist Tested." The mascara applies well but I find that I need to make sure that when brushing my lashes that I take it slow and use gentle strokes, else my lashes tend to clump a bit. But that being said, when the lashes stick together wiggling the wand's bristles separates the lashes well. The mascara makes my lashes look thicker and longer with just two coats. I love that you get the best of both worlds with this mascara - volume and length. The black is also an lovely rich, intense black that I personally like a lot. the rich colour means that some people would only wear this at night but I like dark lashes and find this perfect for day and night - and that's another great thing about this mascara, it looks great all day long so you can easily go from day to night without having to touch up during the day. In all honesty, I think when I am in a spending mood I would buy this. I have days where I want my lashes to look different - I have different mascaras for length, volume, dark black, light black....this mascara is perfect for days where you can't decide between thick or long lashes or when you simple want it all.